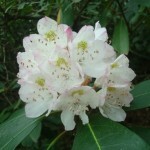 Rabun Bald: Much of our hike up the mountain was through tunnels of Rhododendron. 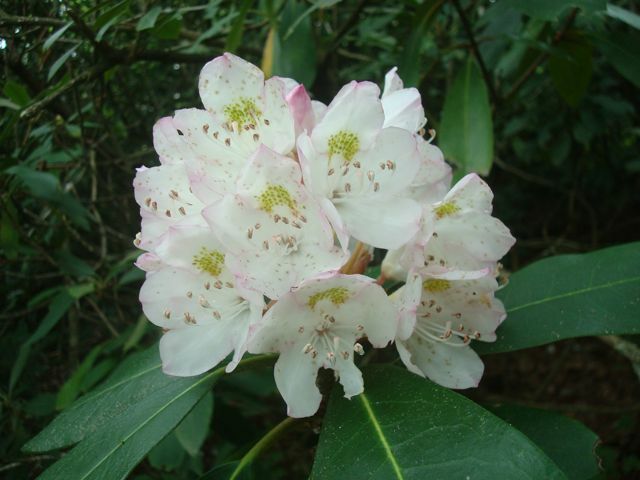 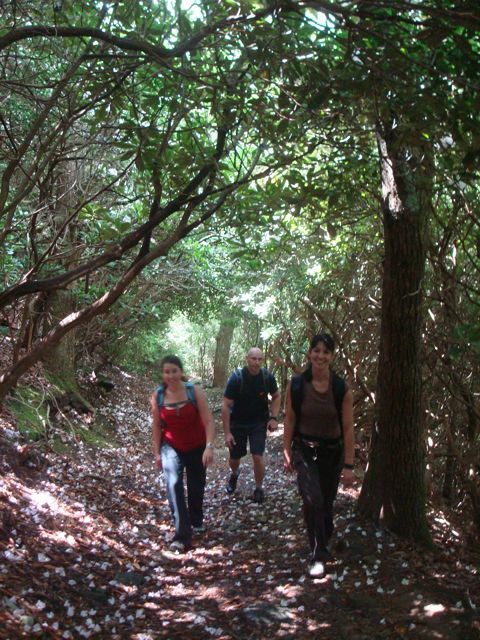 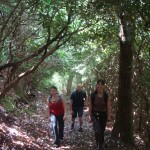 Rabun Bald: The Rhododendron were in bloom, making our hike particularly beautiful! 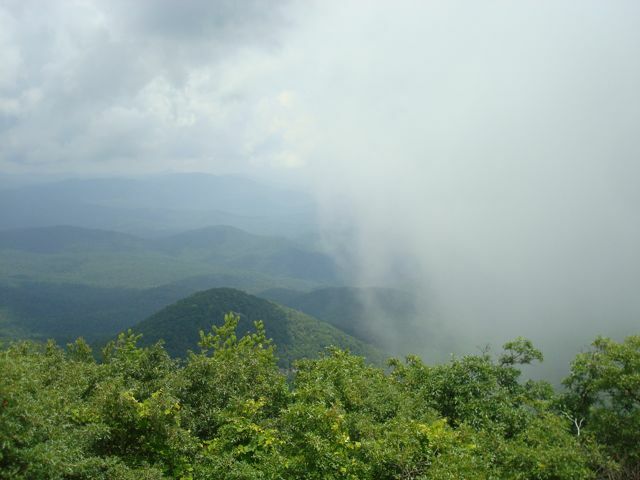 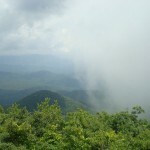 Rabun Bald: At the top of the mountain, the clouds gave us quite a show – half of the sky was clear and half was obscured. 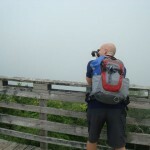 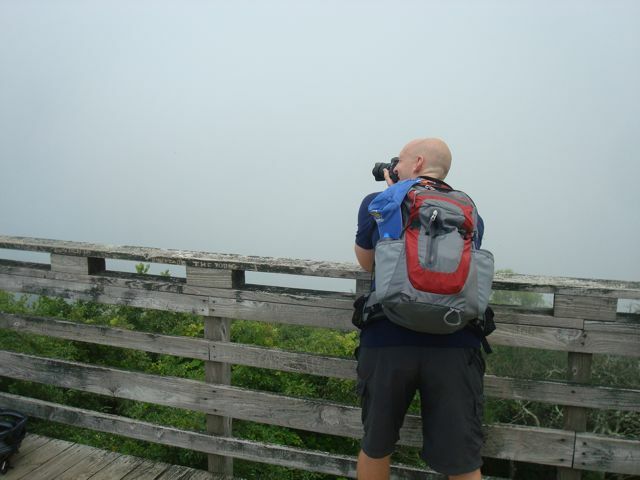 Rabun Bald: Despite the clouds, the peak of the mountain was a perfect place for photography. 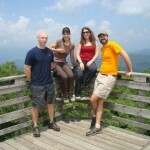 Rabun Bald: A great day, a great mountain, and a great group! 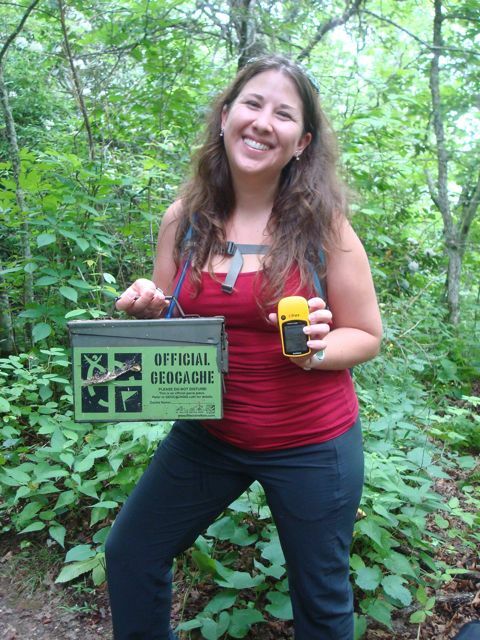 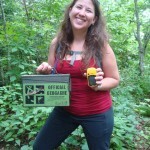 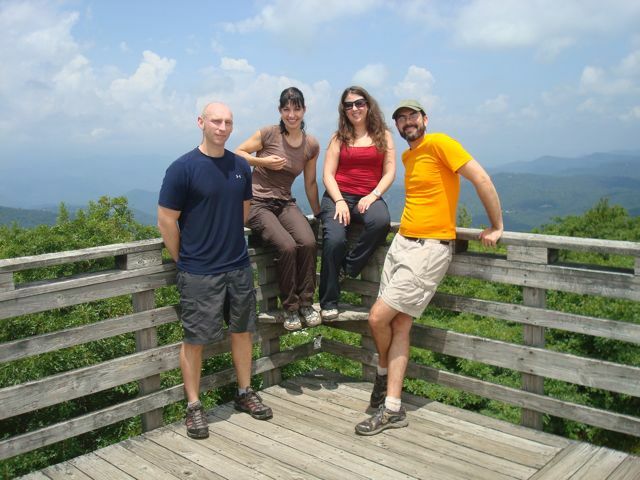 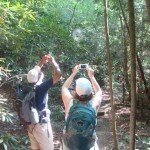 Rabun Bald: One our our hikers found her first geocache on the side of Rabun Bald. 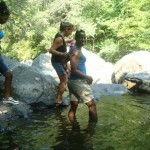 Emery Creek: The first step into the cool water of Emery Creek was a bit of a shock on a hot day! 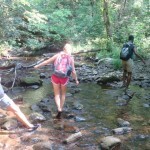 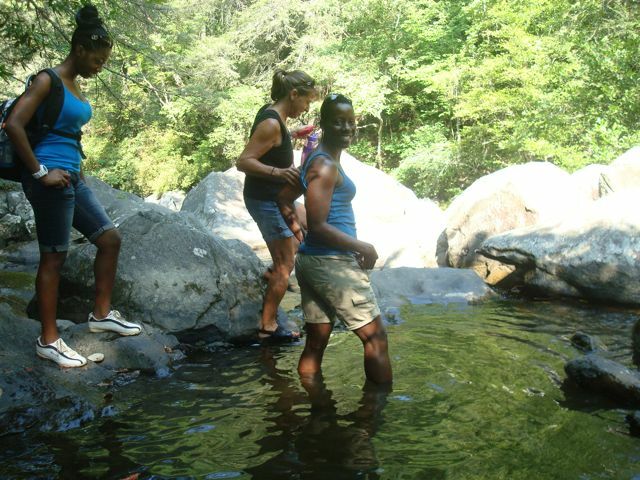 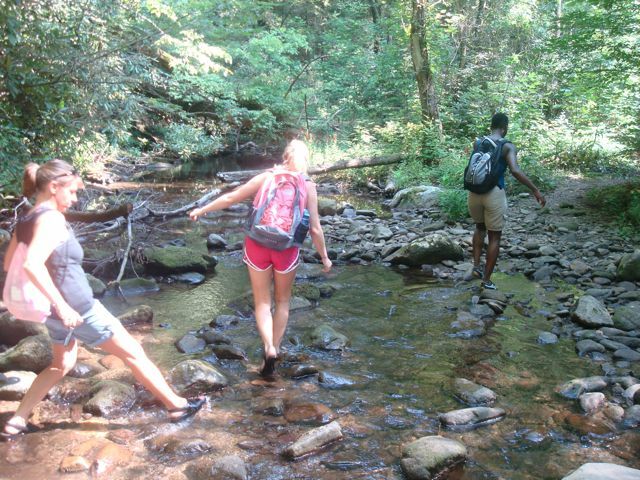 Emery Creek: Though the water was fun to walk through, we had to be careful of slippery rocks. 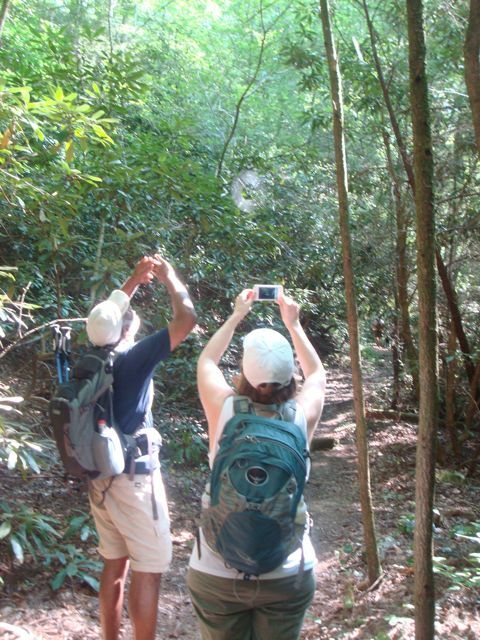 Emery Creek: An impressive spiderweb above the trail was a perfect place for a photo shoot. 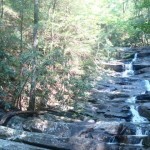 Emery Creek: The falls are a long cascades with several levels. 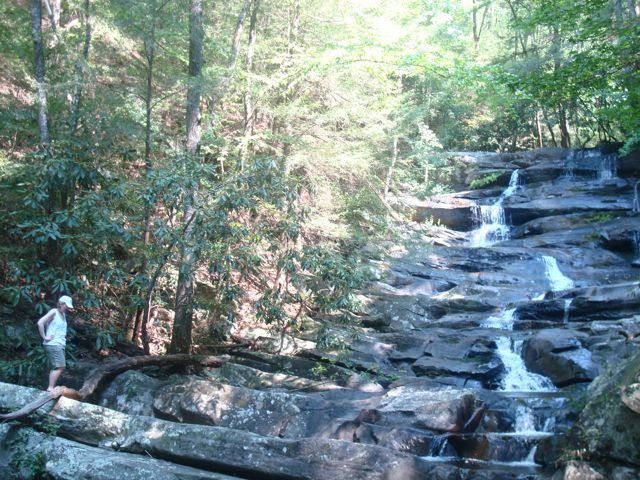 The rocks are like giants’ stair steps, but we climbed up them anyway! 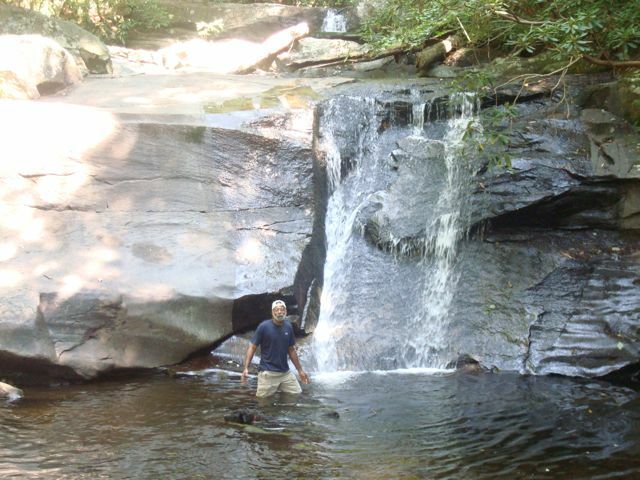 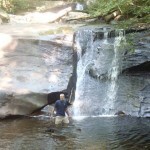 Emery Creek: The base of the falls had a deep pool where several of us couldn’t resist lounging in the cool water. 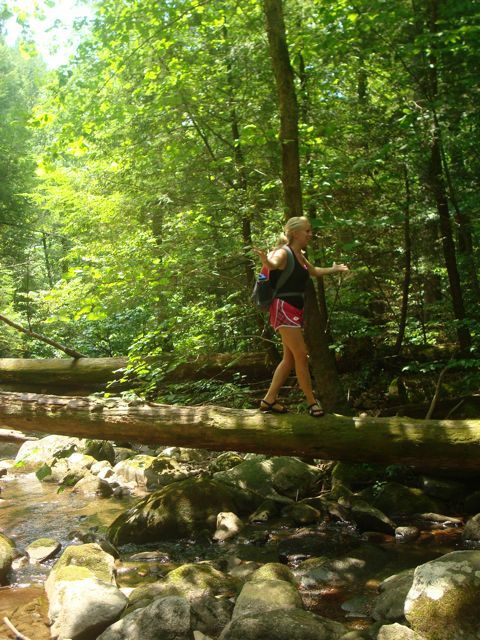 Emery Creek: On of our participants had always wanted to walk on a fallen tree – so we did!